Essence is designed to be stylish and eco-friendly, using a mix of sustainable and renewable materials. 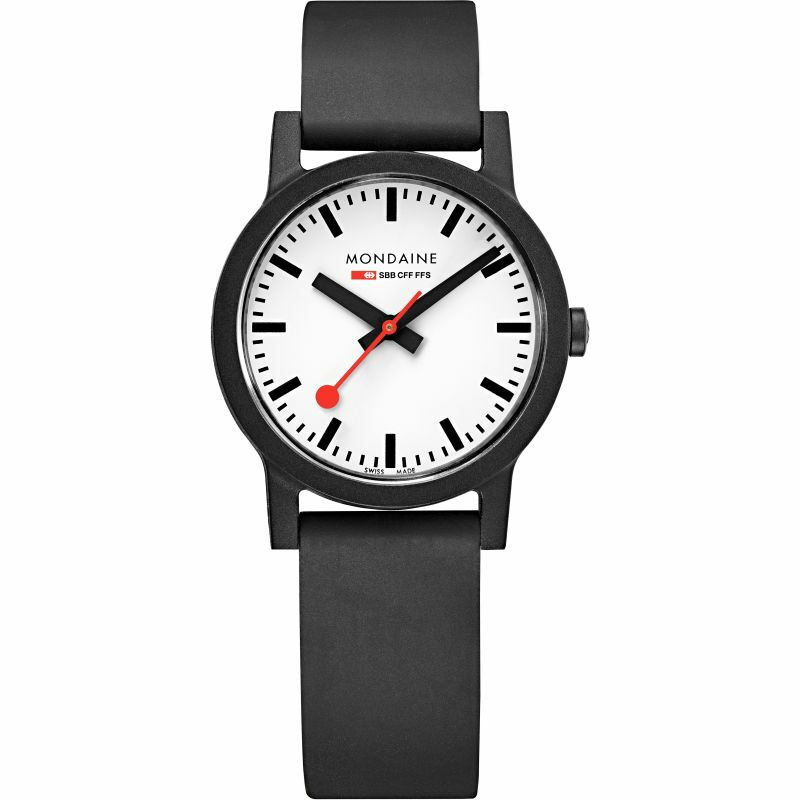 The watch case uses Rizinus, a castor oil based substance, as the primary ingredient, which gives the case a comfortable lightness and strength, as well as a tactile finish. 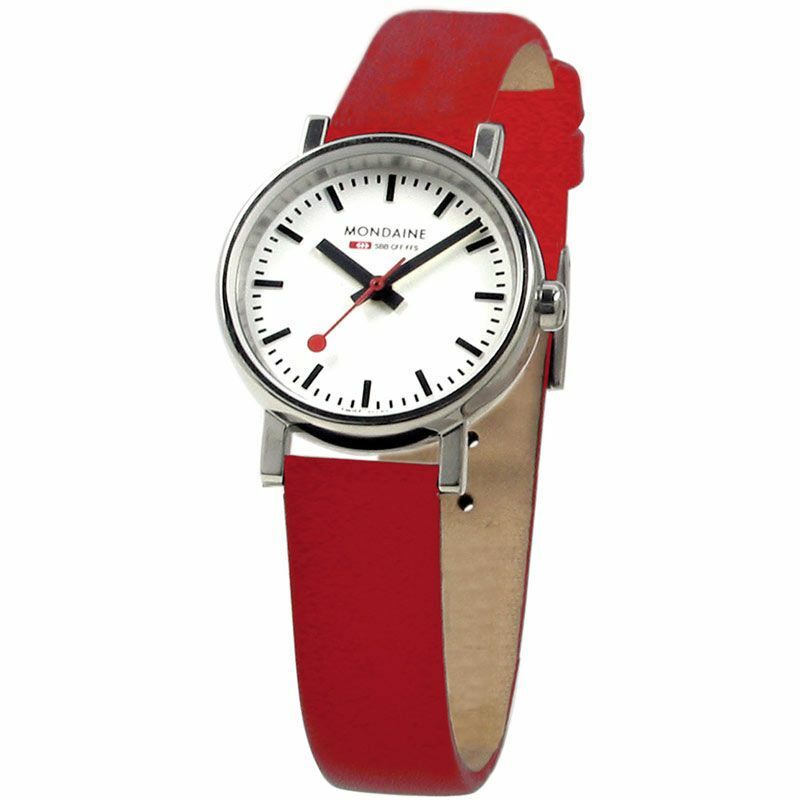 The watch strap uses natural rubber, which gives the strap a soft and comfortable fit, but still hard wearing. 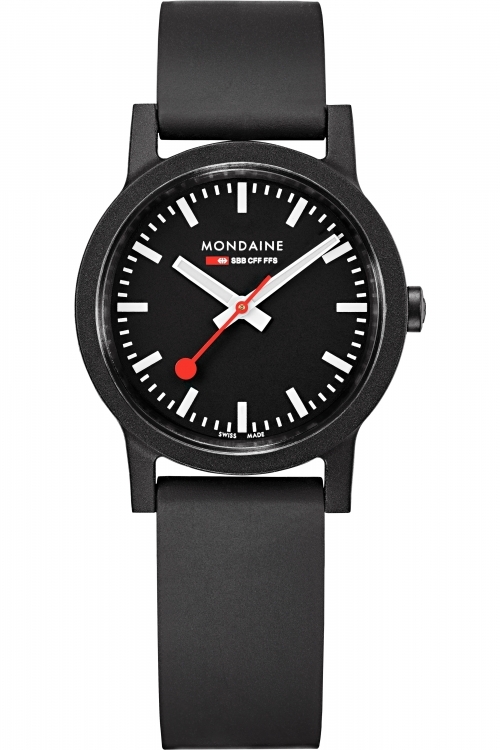 The dial is the iconic Swiss Railways design, licensed by the Swiss Railways SBB, with clear detailing and instantly recognisable second hand. 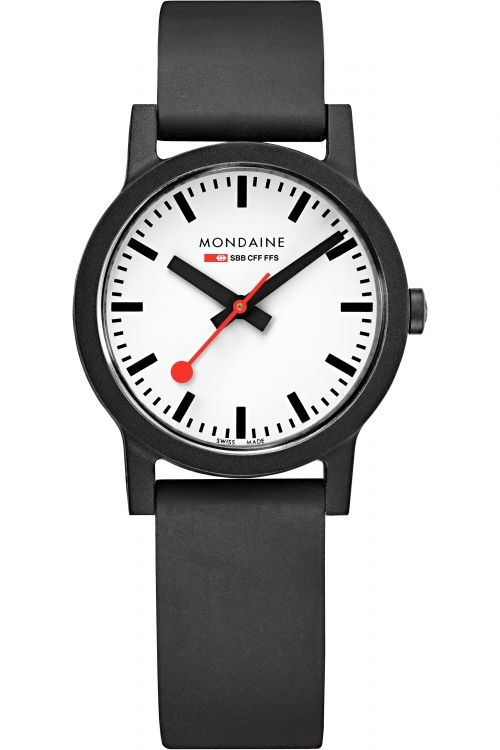 Powering the watch is a Swiss quartz movement Continuing the eco-friendly and renewable approach, the watch is packaged in a felt pouch made from recycled PET bottles. The packaging is also versatile as it can be used as a smartphone pouch as well.